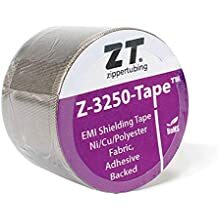 Prt Clear - Prt - Trade Names - ZT | Zippertubing Co. Protect your identification labels from damage while retaining legibility. 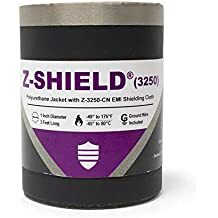 Provide excellent anti-abrasive, environmental, chemical, and electrical properties with resistance to most oils and fluids, mild acids, and alkalis. Never again disconnect or pull through another wire or cable. Use the superior product for protecting cable and wire labels without removing the existing installation. Choose PRT® (Clear) and then wrap it around the area to be protected or repaired. Seal and shrink. PRT® (Clear) is a clear, wrap-around polyolefin heat shrink for protecting and viewing cable and wire labels and repairing worn-out insulation—without disconnecting any assembly. Use the product as a clear cover to protect the label content on your wires or cables. Use it as a secondary insulation for your wires and cables. Use it as a repair piece. PRT® (Clear) is a wrap-around heat shrink that enables you to repair wire and cable insulation—or add secondary protection to in-service electrical systems—without removing or disassembling the connectors and end hardware. Offers additional visibility for your wire labels. PRT® (Clear) is ideal for protecting identification labels from damage while retaining legibility. Thirteen sizing variations ensure that you can find the right size for your needs. Contact us today, and we’ll assist you with the perfect solution for your application. The best part of the PRT® line of products is that you’ll never again need to remove or disassemble your connectors or end hardware to install or repair. Simply wrap the PRT® (Clear) over your wire or cable and shrink it. Use a heat gun to recover the material in a fashion similar to standard, non-split, heat shrinkable tubing. This material has an operational temperature range of -55° to 135°C (-67° to 275°F) and is available in 50-foot rolls.